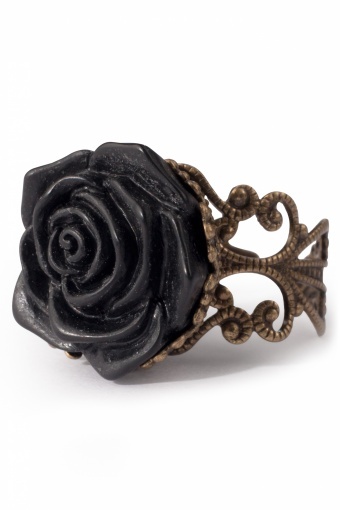 Sleeping Beauty's Black Rose ring. 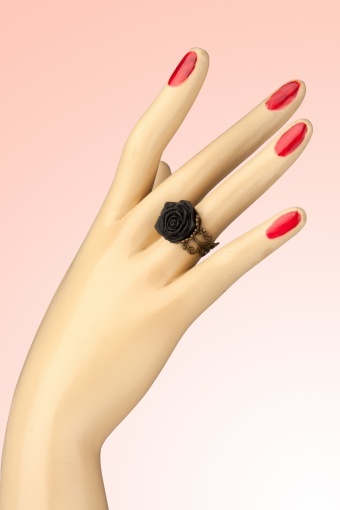 Absolutely adorable this adjustable ring. 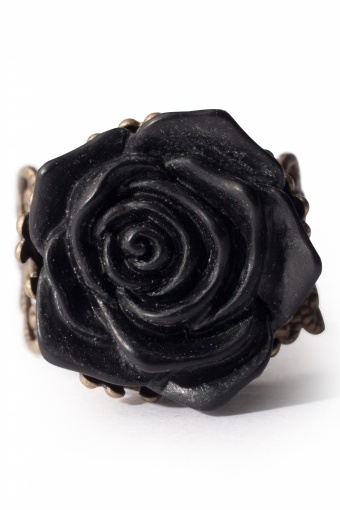 With a beautifully shaped black rose. 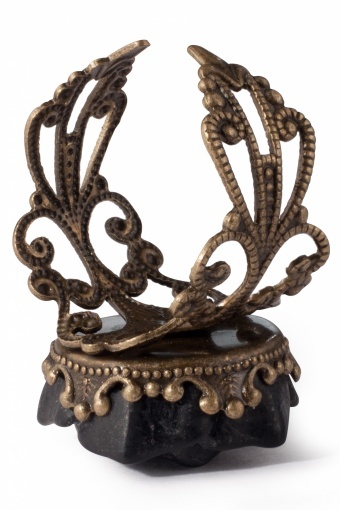 The fine bronze toned metal is nicely detailed in filigrain style.